Country music band from Nashville, Tennessee, initially – and a bit closer to the source of the band name - known as BR5-49. 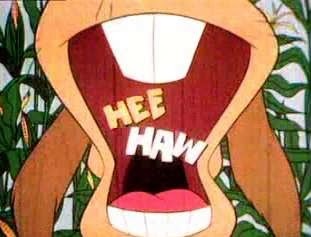 The group owes its name to a popular character in American television series Hee Haw, an impersonation by comedian Junior Samples (really Alvin Samples, Jr., 1926-1983). Samples played a second-hand car trader who (unsuccessfully) attempts to seduce potential buyers to call him on number BR-549 (later changed to BR-1Z1Z). Does the name BR549 require any further explanation? May be it does. You see, we also have to take into account that the exact same letter and number combination has been found on signs near Wishard Memorial Hospital (Indianapolis, Indiana) to warn motorists for the dangers of the mobile phone. And in the cartoon Heavy Metal 2000 the waypoint for a spaceship has the indication 'asteroid BR-549'.